The Number of the aged poor People now in this workhouse is 30. Those that are able, employ'd in Knitting. The Number of Children is 19. Those that are able—employ'd in Spinning. The Expence for maintaining the House from Lady-Day 1724, to Michaelmas following, in Victuals and Drink, including Apparel and Bedding, l. s. d.
Their Weekly Bill of Fare is much the same as in other Places. The Savings to the Parish out of the former Charge for maintaining the Poor, will best appear by the following Account. The last 8 Years Charge, one with another, was, l. s. d.
A parliamentary Report of 1777 recorded Peterborough City and Hamlets as having a workhouse with accommodation for up to 110 inmates. Also listed were parish workhouses at Werrington (up to 14 inmates) and Yaxley (21). Werrington had a parish workhouse on Church Street. The building, which is said to date from around 1782, was later used as a school. Werrington former parish workhouse, 2004. 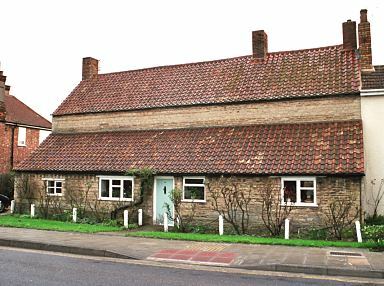 A house on Main Street in Yaxley, dating from the early 18th century, once served as the parish workhouse. Yaxley former parish workhouse, 2004. County of Northampton: Ailsworth, Castor, Deeping Gate, Etton, Eye, Glinton, Gunthorpe, Helpstone [Helpston], Marholm, Maxey, Newborough, Northborough, Paston, Peakirk, Peterborough — St John the Baptist (6), Sutton, Upton, Walton, Werrington. County of Huntingdon: Alwalton, Caldecot, Chesterton, Denton, Farcet, Fletton, Folksworth, Glatton, Haddon, Holme, Morborne, Overton Longville [Orton Longueville], Overton Waterville [Orton Waterville], Standground [Stanground], Stilton, Washingley, Water Newton, Woodstone [Woodston], Yaxley. 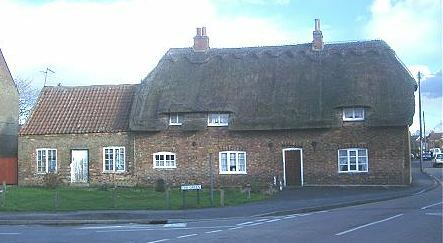 County of Lincoln: Crowland (2). Later Addition: Borough Fen (a non-parochial area until 1861). The population falling within the Union at the 1831 census had been 20,934 — with its parishes ranging in size from Washingley (population 31) to Peterborough St John the Baptist (5,511). The average annual poor-rate expenditure for the period 1833-5 had been £9,720 or 9s.3d. per head of the population. 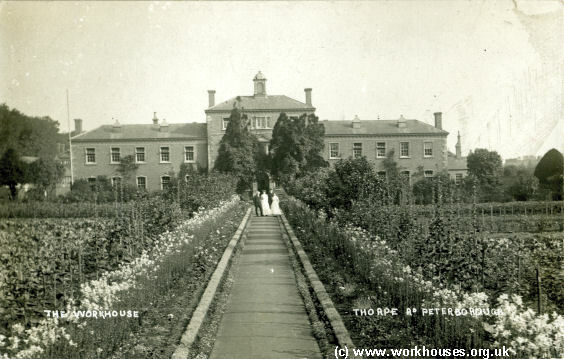 A new Peterborough Union workhouse was erected in 1836 to the north side of Thorpe Road in Peterborough. It was designed by Bryan Browning who was also the architect of the Lincolnshire workhouses at Bourne and Spalding and Stamford. His design for Peterborough was based on the popular cruciform layout. In 1836, the Poor Law Commissioners authorised an expenditure of £4,172.10s. on the building's construction which was to accommodate 200 inmates. The entrance block contained the porter's lodge, board-room, offices etc. with the dining hall and kitchens at the centre rear. In the main accommodation block, males were accommodated at the west, and females at the east. An infirmary block stood at the north. The buildings were extended with a 20-bed fever ward at the north-west and a chapel in 1864, and two vagrant wards in 1870. By 1874, the workhouse accommodated around 370 inmates. The site location and layout are shown on the 1888 OS map below. Later additions included a Master's house in 1913 at the south-east of the entrance block, new infirmary in about 1920 (later known as St John's Hospital) to the east of the workhouse, and a nurses' home in 1932-2 to the east of the Master's house. Peterborough workhouse from the south. The former workhouse site later became Peterborough District Hospital. Six acres of land and the former workhouse were acquired in March 1972 by the Secretary of State for Health on behalf of the Regional Health Authority, who then demolished the older buildings. On the cleared site a purpose-built geriatric hospital (Fenland House) was built 1976-80 as an annexe to Peterborough District Hospital. The union operated children's cottage homes at Alderman's Drive and at Midland Road, Peterborough. In 1924, Aldermans' drive housed up to 10 children, with Miss M. Murkitt as the superintendent. Midland Road could accommodate 22 children who were in the care Miss A.M. Middleton. Northamptonshire Record Office, Wootton Hall Park, Northampton, Northants, NN4 8BQ. A wide variety of records survive including: Guardians' minutes (1835-1930); Admissions and discharges (1836-1930); Births (1836-1945); Deaths (1836-1931); Creed register (1915, 1920, 1929-45); Register of mechanical restraint (1890-1943); etc. Peterborough by HF Tebbs (1979).